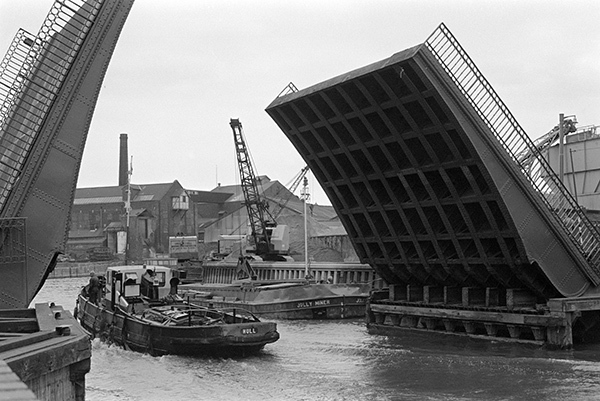 I’m pleased to announce a second little zine just published with a few of my pictures – ‘Peter Marshall — The River Hull 1977–85‘, now available on Cafe Royal Books. You can page through and see all the pictures on the web site – and of course buy a copy if you want. Might make a good Christmas present… And unlike my ‘Still Occupied, A View of Hull’ at a reasonable price, though postage adds a a bit to the £6 cover price. Best to buy several copies and share them with friends, or of course there are many other great volumes in the series worthy of your consideration, including my own Notting Hill Carnival in the 1990s, as well as several by some of my friends, including Bob Watkins‘ The English Way, English Carnival Pictures, Paul Baldesare‘s Down the Tube Travellers on the London Underground and John Benton-Harris‘s The English and many more you can see on the Cafe Royal Books pages. All these zines are fairly small editions and some sell out pretty quickly. This entry was posted on Saturday, November 10th, 2018 at 09:53 am and is filed under Hull Photos, My Own Work, Photographers. You can follow any responses to this entry through the RSS 2.0 feed. You can leave a response, or trackback from your own site.